If you’re planning your big day, you know how exciting this process is. Yet, at the same time, it’s incredibly stressful. From planning the tiny details to organizing an entire event, there are so many aspects that have to magically fit together for this big event. You want everything to go perfectly on your wedding day, but you’re also drowning in stress. If you’re experiencing the pre-wedding panic of getting your plans together, you aren’t alone. It’s natural to worry about things like budgeting, menus, and colors. But you want to protect your mental health at this magical time as well. Your wedding day is an event to remember, and you want to remember it for the right reasons, not the stress. Here are the best tips for saving yourself from the stress of your wedding day. 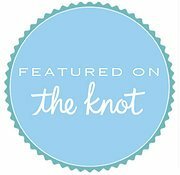 Shopping for a Custom Fit Wedding Dress – Check out (Azazie.com). Honeyfund, the most trusted honeymoon registry site, your honeymoon is our business. With no fees, you can set up your custom wedding registry, universal registry, or cash registry — quickly, easily, and budget-friendly.